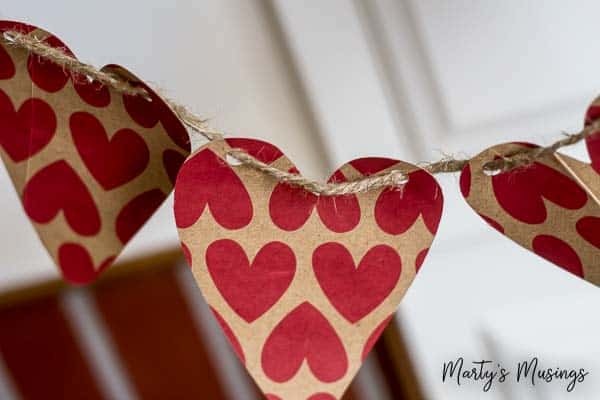 DIY Valentine's Day Banner: cheap and easy with gift bags! 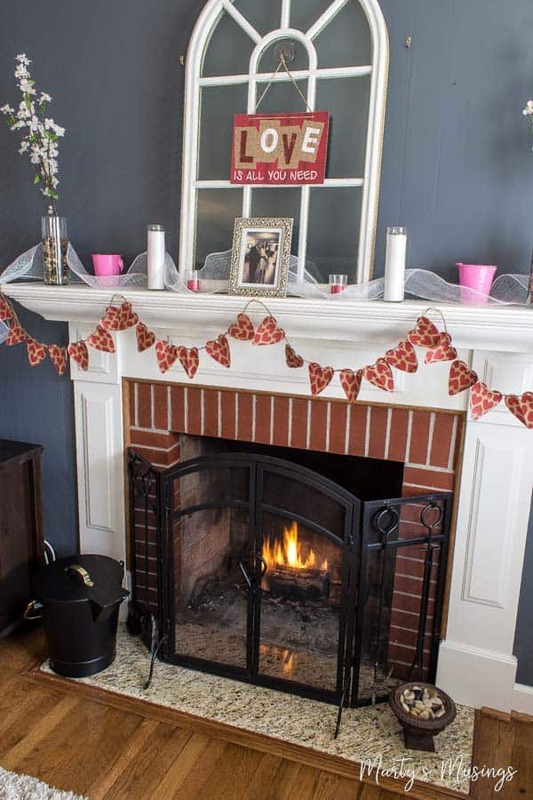 Disclosure: The post Cheap and Fast DIY Valentine’s Day Banner is sponsored by Duraflame® but all opinions are my own. 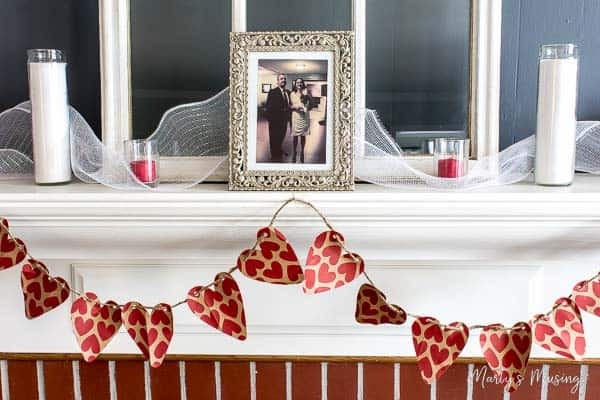 This cheap and fast DIY Valentine’s Day banner is made out of gift bags from the dollar store. 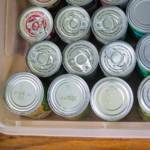 So clever and simple to make even the kids can help! 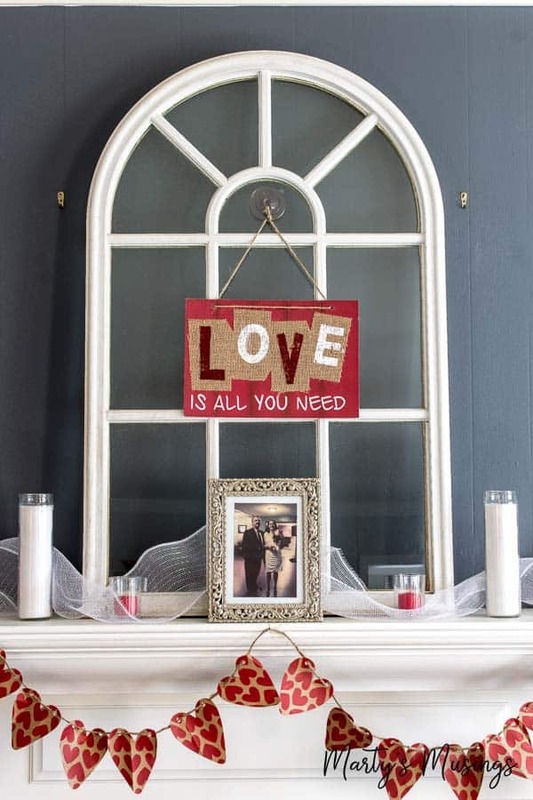 Decorate your entire mantel or wall! 30 years ago Valentine’s Day a pretty young girl with twinkling eyes pledged her heart to a dashing young man with long blonde locks and a guitar in his hands. Their romance began on stage in a dimly lit theater and a sweet marriage ceremony included a sentimental love duet. In those early years their love burned strong with the fires of young passion and new life. Conflicts seemed overwhelming at times to the young couple, although they bravely faced challenges hand in hand. 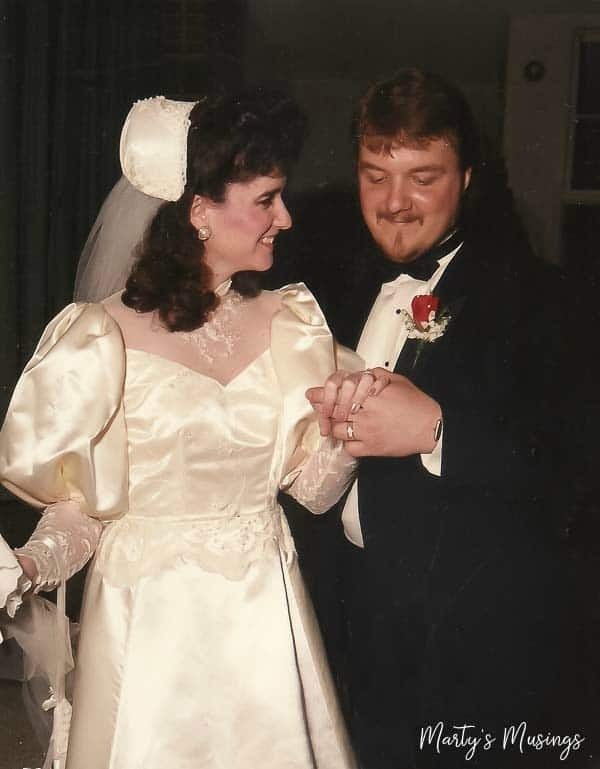 Little did they know the next 30 years would test their love beyond comprehension. Life would bring normal, everyday challenges. 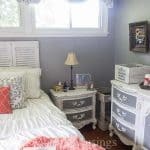 A home with a mortgage and appliances that stopped working, a small bathroom to remodel, but nothing a little bit of chalk paint and inspiration couldn’t fix. Soon the couple would have two little babies and open their hearts to adopt a group of siblings as well, now a family with five children in all. Life would become chaotic and heartbreaking, challenging those vows of love. 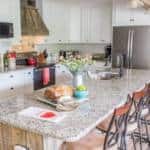 Months and years would pass, days spent helping wounded hearts heal, homeschooling their brood, with conversations, chores and meals shared together. Angry words were sometimes spoken and apologies given and received. Those starry eyed lovers were ill-prepared for the sacrifices needed to survive real life battles. Yet through every storm they somehow managed to weather the winds of change and distress. 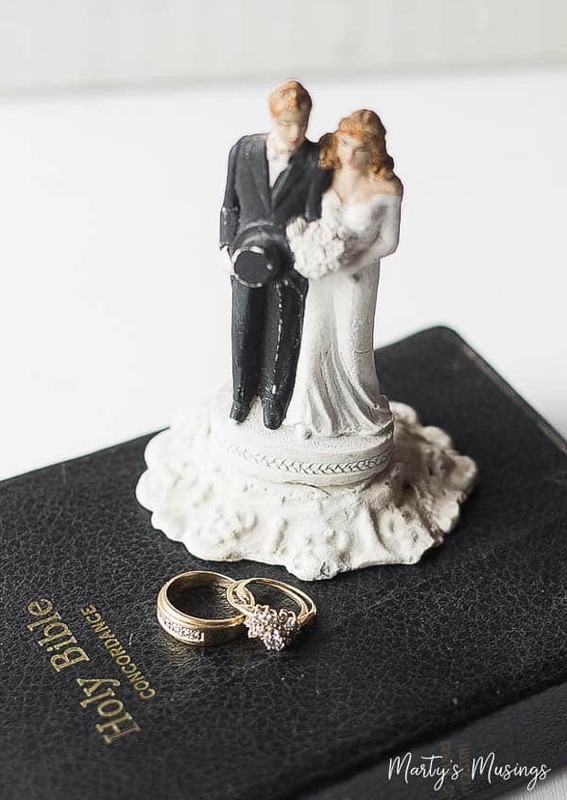 Many seasons of life have come and gone since those vows were exchanged. There have been seasons of rest and seasons of heartbreaking agony. 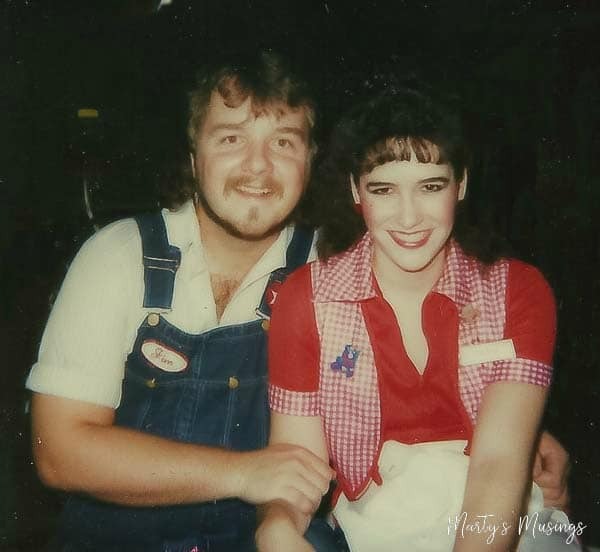 30 years later the now middle aged woman watches her also middle aged husband dig down deep to finally release long held childhood hurts and pain to the arms of Jesus. It is not an easy season and the battle is real. But when the victory is won those flames of love will be fanned once more into a passionate, praise worthy love that gives all glory to God. Until then we celebrate the little victories, knowing each day is a brand new beginning. A love that stands the test of time may start with a fire but is built with the embers of faith and belief that God’s mercies are new each morning. 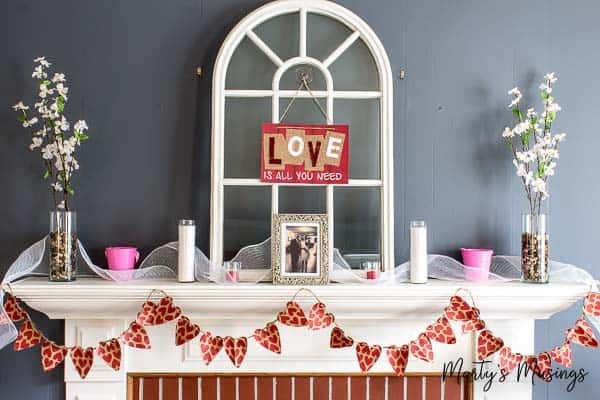 This month I happily partnered with Duraflame to not only share my heart but a cheap and fast DIY Valentines Day banner and mantel while enjoy a roaring fire with Tonight’s the night logs. Yes, that’s the name of the logs! In less than five minutes these logs are burning in full flames and last up to four hours. Perfect for celebrating Valentine’s Day with those you love! Tip: Take the time to shop the entire dollar section or store because some of the best goodies may be in other sections. 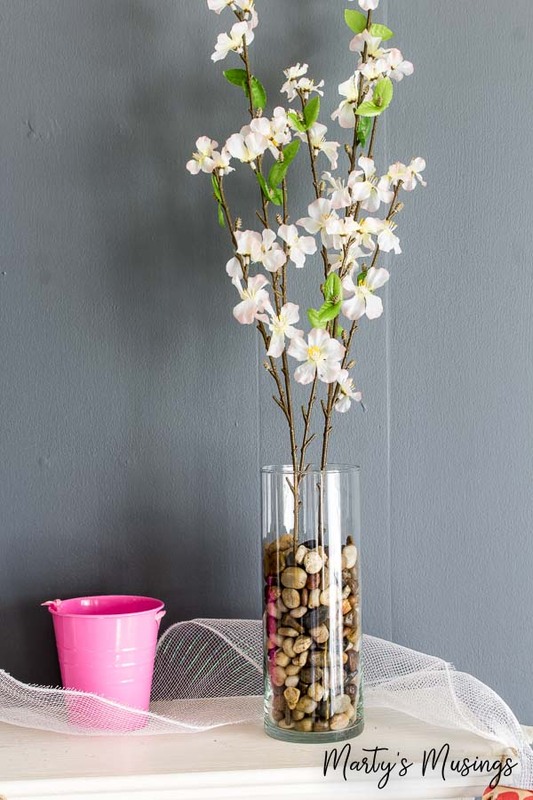 If you select neutral colors (like my flowers, vases and rocks) you can reuse them again and again! 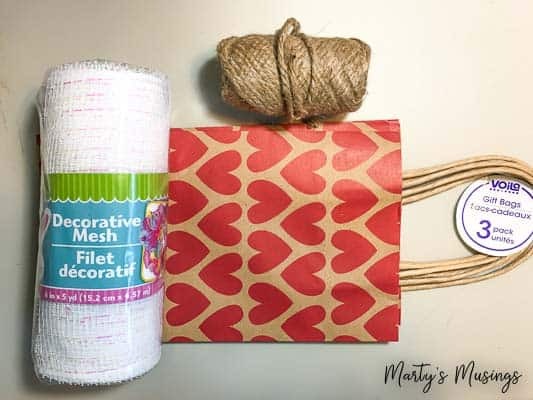 When I saw these gift bags 3/$1 I decided to create a DIY Valentines Day banner to go along with the rest of the inexpensive decorations. 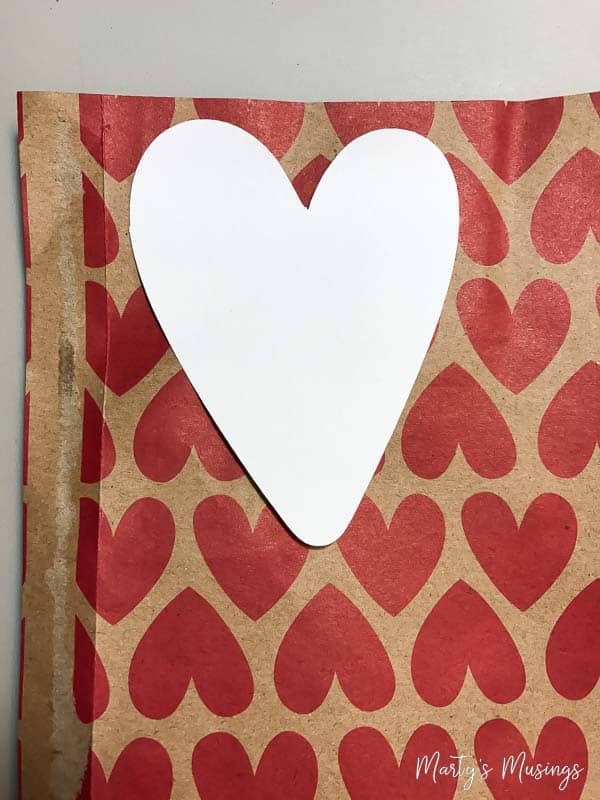 The Valentines Day banner can be made using a diecutting machine (I used my Cricut) or with a large heart punch. Step 1. 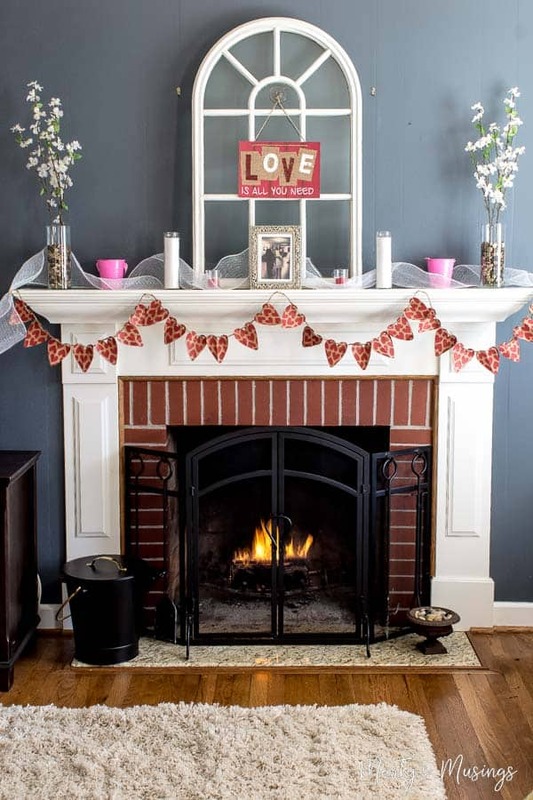 Measure your mantel (or wherever you want to hang the banner). This will determine the number of hearts you need to cut. Step 2. Open the gift bag out flat. If there are handles, take those off and even out the sides of the paper. Step 3. 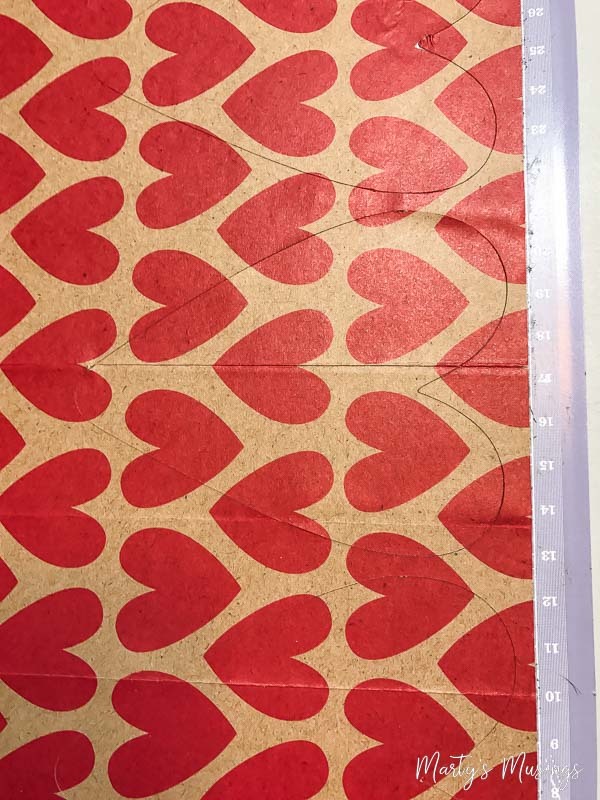 If using a Circut decide size of hearts. I used the heart (with the shift key) of the Accent Essentials cartridge on 4″ for my hearts. 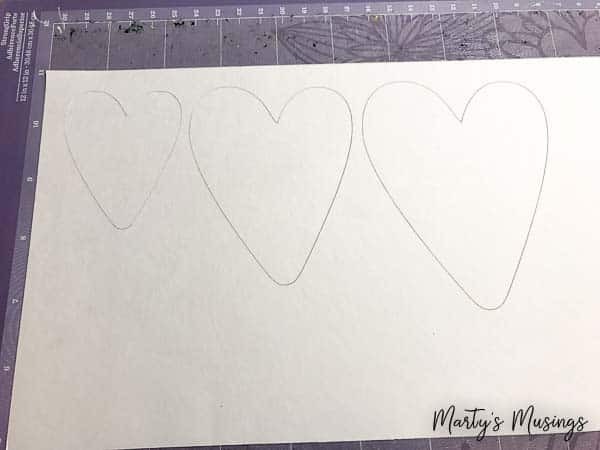 I always use scrap paper to cut a few test sizes before I use my actual paper so I know exactly what size I want the heart to be. Step 4. Cut or punch out the hearts. I was able to get 8 hearts out of each paper bag (if I didn’t mess up any!) Since the bags were 3/$1 I made sure to buy extras. Step 5. Punch 2 holes in each heart and string jute through until banner is desired length. I also used the white mesh to decorate the mantel and tack along the end of the banner. And there you have it! 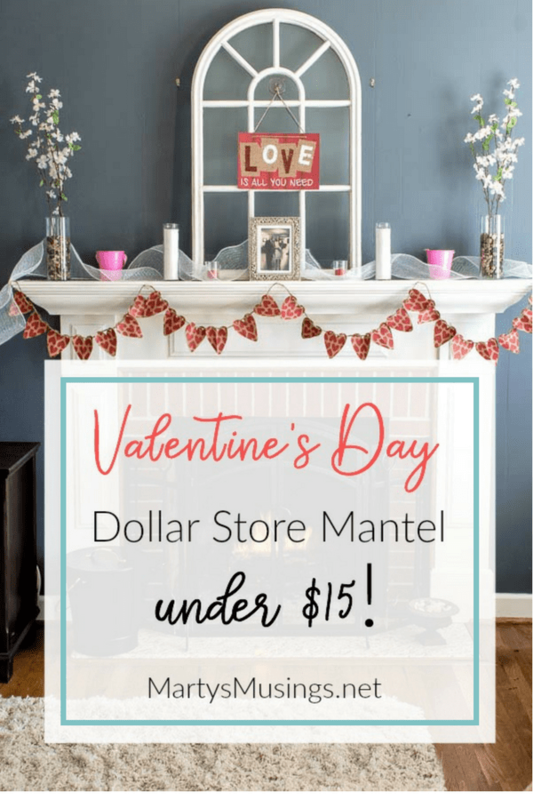 Everything on the mantel was under $15 (except for the window) and I think it’s perfect for Valentine’s Day or an anniversary celebration. 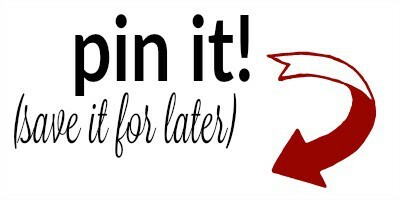 If you were inspired by DIY Valentine’s Day Banner I’d love if you’d share it with your friends and pin it for later! Us bargain decorators need to stick together! Your heart garland turned out so nicely, would love to make one of my own. You didn’t say which $ store. We have at least 3 dollar stores, one is Family $which is about 5 miles east from our house and then there’s $ general which is about 8 miles east of us. There are 2 $trees but they’re in Grand junction, a few more miles away. Hope can find those gift bags but if not have some paper to use to make nice garland. Enjoyed your post. Hubs and I have been married little over 48 yrs. and life has been hard, have 4 kids, 3 from my previous marriage and we had one. But nobody ever promised a rose garden did they? Your mantel looks really pretty. 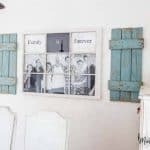 Our mantel is a shutter shelf, we have a single wide mfg. home. Hi, JaneEllen. I got the gift bags at the Dollar Tree but you could find some at most any place, even Walmart or Target or a crafts store. 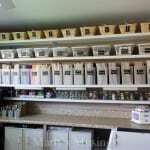 You could even just use white paper bags found at the grocery store and then just stamp them or decorate them as you choose. For me, I always love scrapbook paper! Congrats on 48 years. That is a truly successful marriage! Marty, you write to beautifully of real life, real struggles and real glory. God Bless you. Love the mantle. Thank you, Karen, for your sweet compliment. I try to write transparently while also encouraging each of us to find the beauty in the everyday, ordinary miracles of life. It’s so difficult at times, but it IS possible! Thanks so much for reading! 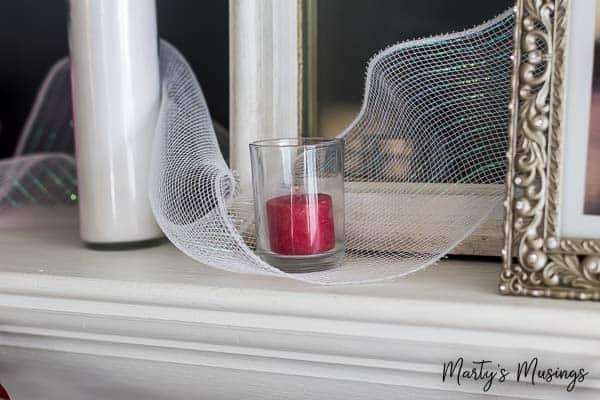 Love this idea for the mantle! 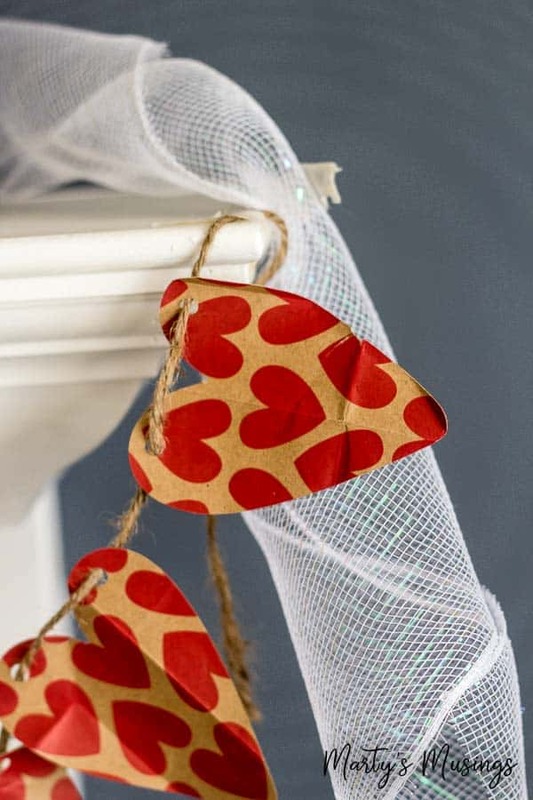 I borrowed your idea but used some old scrapbook paper I had for the hearts and left over ribbon from a past craft project to string them together.. It turned out really cute! Your love story was so beautiful and touching. Thank you for sharing! Hi, Mitra. I’m so glad you used my idea and I LOVE scrapbook paper, as in I’ve been obsessed with it for years. 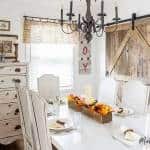 It’s so easy to pull some decor together once you start looking at what you already have. Great job!